ProMaster E-Type | Pac-Dent, Inc. This dynamic tool is comfortable to operate and allows for variable speed in either forward or reverse direction control. The universal quick release connection ensures maximum compatibility with all brands of standard ISO E-Type handpieces. 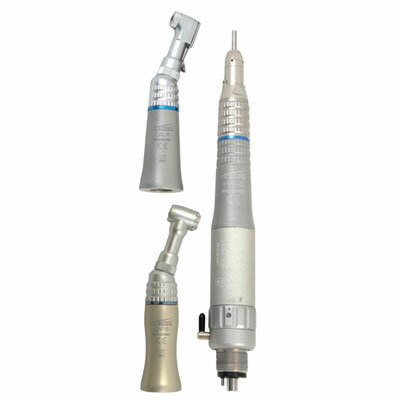 The 3-piece air motor set includes 1 contra angle handpiece, 1 straight handpiece, and 1 E-Type air motor with water spray; all parts autoclavable.